Man’s judicial system has always been far from flawless. Sometimes the innocent are jailed and the guilty go free. The chief priests falsely charged Jesus with blasphemy. Ultimately, Jesus was turned over to Pilate, who found no guilt in him. Pilate, however, was under no obligation to set him free. The only requirement in Pilate’s estimation was to show Rome’s dominance. If it meant killing one more Jewish citizen, then so be it. Jesus, of course, was innocent. He had committed no crime and was guilty of no sin. Still, Jesus was convicted and Barabbas the murderer was set free. 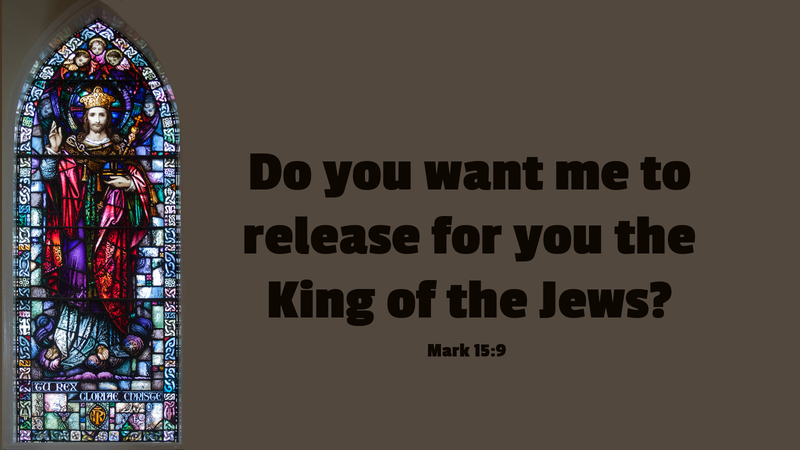 It’s true; Pilate felt no sense of obligation to free Jesus. The judicial system employed by Rome was certainly one-sided. Anyone who was merely suspected of stepping out of line could be made an example. Jesus willingly took upon himself the guilty verdict for humanity’s fall from grace. Yes it is true; sometimes our judicial system fails. There are instances when the innocent are convicted and the guilty go free. Yet, all are sinners. Only one has ever been innocent of sin and obedient to God’s commands. And for this, he was crucified. Prayer: Lord Jesus Christ, who took upon yourself our sin, paid our penalty, and saved us from ultimate death, we thank you for your grace. Amen. Today’s devotion was written by David Nuottila, Pastor of Union Lutheran Church, Salisbury, NC.